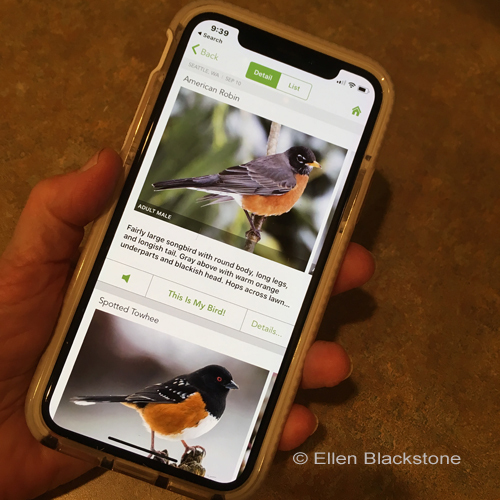 The Merlin Bird ID smartphone app from the Cornell Lab of Ornithology is a free, easy way to help you identify new birds. The app asks a series of simple questions and offers a list of possible birds, along with photos and sounds, to help your identification. The app draws from millions of bird sightings people are uploading to a massive community science project called eBird. This is BirdNote. I’m Liz Felix. I am looking at a funny kind of “robin” I have never seen before. 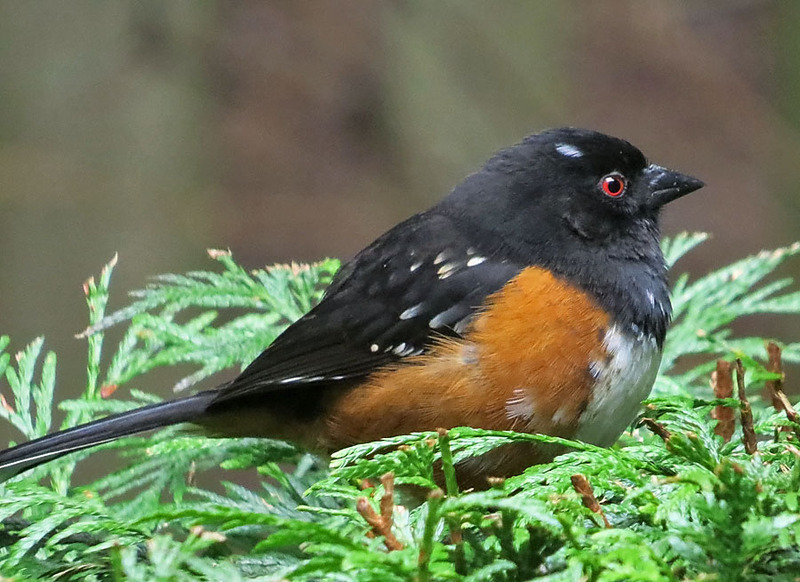 BirdNote listeners know better than anybody there are a lot of birds out there! Birds can look very different depending on where you live and what season it is. I just moved to a new state, and this is one weird-looking robin. I don’t have a bird book on me... but I do have the Merlin Bird ID app on my phone. Okay. I pick my location and the date. I am in Seattle, and right now it’s the fall. The bird is about sparrow- to robin-sized, it’s on the ground, and the three main colors are… let’s see, it’s got a *black head, *reddish sides, and a *white chest and belly… And... here we go. Merlin works by pulling together millions of bird sightings that people have uploaded through another* app, called eBird. That’s my bird! Merlin is free on iPhone and Android. For BirdNote, I’m Liz Felix. Bird sounds provided by The Macaulay Library of Natural Sounds at the Cornell Lab of Ornithology, Ithaca, New York. Recorded by Geoffrey A. Keller and Wil Hershberger.